The south of Portugal is the paradise on earth. Sun, good weather, long beaches, perfect food, and small weddings. Yeap!!!!. In this session, I photographed the session of Sarah and Mikael. The destiny put them in front of me. I always love to be at beach of Barril in Tavira, because it is the beach of my childhood… and of my wife too. I always wanted to photograph a beach wedding here, even help a couple to planning to get marry in this fantastic place. While I am waiting for the next year a small beach wedding in Tavira, a nice norwegian couple appeared. Stunning. 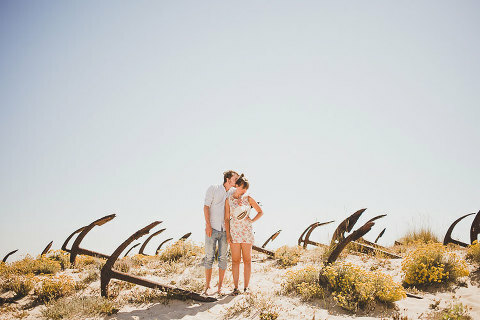 I proposed Sarah and Mikael to have a walk on the beach around the typical fisherman’s huts and the cemetery of anchors. These anchors are lying among the sand dunes and they are the memories of the Tuna fishing activity, originating of Roman time. We were scouting around the beach after, on the tracks of the little train that connects the mainland with the island of Tavira, Algarve. We were laughing because some images reminded us of the album cover of a band, which made the session had just a fun way. I felt so close Sarah and Mikael by their way. They love travel, the design and the authentic things. After a good conversation, I felt them as a good friends, and that was perfect to scout the beach and photographing them without interfere, natural and relax time. Maybe next year we will meet again in Norway at a wedding, I hope that! 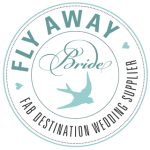 I was so honored to be published in Fly Away Bride Blog, thank you so much!!!! 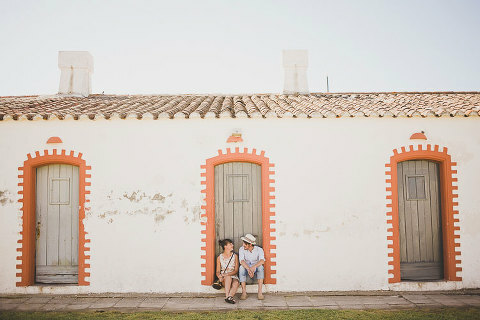 Well connected with the rest of Europe by Faro airport, the adventure of get marry in Algarve is possible now as never was. From Ireland, Norway, England or Switzerland is possible to get married on the beach, surrounded by intimate friends and family in a magical place, wonderful time and a delicious party. Tavira in Algarve is a magical place where all these wonders come together. You can marry in the pousada, or the castle or on the beach. Cacela Velha near Tavira has a hermitage in the cliffs where marriage is an adventure dream over the sea. will you marry there? PS: all the session was shoot with my pancake canon 40mm f 2.8. a nice small lens.